LOVELY JEWELLED FLORAL DESIGN ON THE FRONT AREA. 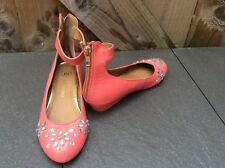 RIVER ISLAND LADIES/GIRLS CORAL COLOUR LOW WEDGE COURT SHOES WITH ANKLE STRAP SIZE 3 UK. ANKLE BAND. Gorgeous River Island Shoes. Heel Height In great condition. Have never been worn. Stunning fringed stiletto shoes from River Island. Suede and leather uppers, zipped back. Concealed platform , cushioned insoles and peep toes so comfortable on. Size 6 5" heel but because of platform like walking on just over 4" Worn once. 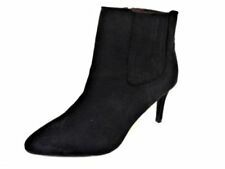 River Island high heeled open toe low boots. 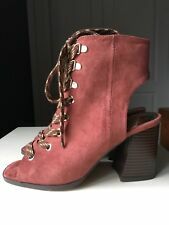 These are a size UK 5, and were £75 when new. They have been worn, and have a few marks on them. I have taken plenty of photographs though, so do feel free to zoom in to get a closer look. 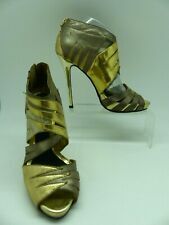 River Island Wrapped Ladies Heels Lace Up Heels Size 7 Condition is Used. Dispatched with Royal Mail 2nd Class. River Island Heeled Gladiator Sandals. Condition is Used, but only worn once so in very good condition! Very comfy pair of casual heels; just never had the right occasion to wear. Dispatched with Royal Mail 2nd Class. In very good condition, a few light scratches on the heels and soles as visible in the photos. River Island Sequin Boots Size 6 . Condition is Used, but only worn once. Mark on the right heel. Any questions please ask. From pet and smoke free house. Dispatched with Royal Mail 2nd Class. Elegant and simple Italian leather high heels size 5/38. River Island - Size 5 - Parely Strappy Multi Coloured Leather upper Shoes. Condition is New with box. Dispatched with Royal Mail 2nd Class. Never been worn as you can see from the pictures. Black, electric blue an white in colour. Look great on I just can’t walk in heels anymore! Zip on the heel. Great heels for a Summer wedding or night out. 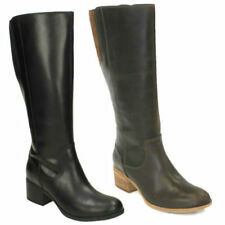 The boot heel is fat and thick with edges on the bottom. Lastly; these boot shoes are comfortable! Top back of the heel boots have a (fake)crocodiles pattern. RIVER ISLAND Sandals/, Heels Size 3/ Bold Pink. Reallyp re tt y sh oe s in a fabulous br ig ht p in k. S iz e 3. Great condition. Great shoes, unfortunately no longer able to wear heels. From a pet and smoke free home. GENUINE SUEDE LEATHER UPPER - WORN ONCE IN ORIGINAL BOX. Gorgeous River Island Sandals. 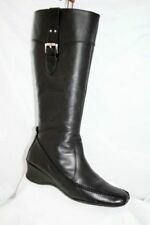 Heel height Have been worn and in excellent condition. Chic RIVER ISLAND Strappy Sandals. Lace up front & Zipper up Back.